Summer is in the air and the relaxed mood of the season is ideal for outdoor entertaining. 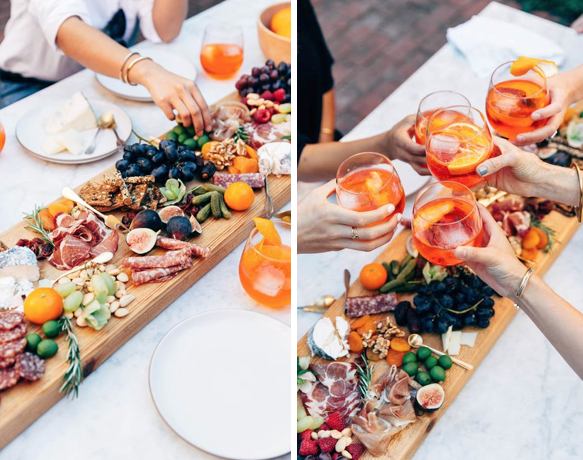 Even in small spaces, there are plenty of ways you can use your outdoor area to gather friends and family for a dinner, party or celebration. The greatest benefit of entertaining in a small outdoor space the feeling of intimacy contrasted with the openness that outdoor areas offer. Small spaces encourage guests to mingle with one another, lifting the mood and excitement of your party. When entertaining in a small outdoor area, there are a number of tricks you can use to maximise space and ensure your guests are relaxed and comfortable. Here are our top ten tips for entertaining in a small space. Before hosting an event, ensure you have sufficient space to accommodate your guests. To create extra space, clear away anything that isn’t necessary and then reposition the remaining furniture. Removing large chairs, side tables and decorative pieces that restrict space will allow you to arrange the remaining furniture so there is enough room for guests to move around. When space is tight and you have a large guest list, consider hosting a cocktail-style event. Guests are more than happy to stand and mingle at these types of events, negating the need to provide seating for every person on the invite list. It is always a good idea to have some seats at a cocktail event, so that people can rest if they need to. People tend to hover around drink stations and food tables, which can cause congestion if you position in them in places where other guests will be moving around. If you have tables for food, drinks, signature books or gifts, position them away from spots such as doors and walkways. By spacing out these tables, you can ensure that guests won’t all congregate in the one spot. In small spaces it’s not always possible to have a large dining setting. Rather than trying to squeeze too much onto your table, consider providing a series of small courses for guests to graze on. This allows you to place smaller amounts of food in the centre of the table and means that guests will only require small plates, which leaves room for drinks and napkins. The other benefit of shared food is that it encourages your guests to interact with one another. The great thing about entertaining outdoors is that the sun, breeze and plants provide your guests with plenty of sensory stimulation. This means you don’t need to go overboard with props and decorations that will make the space feel small and cluttered. Instead, choose a simple styling theme that enhances the laid-back feeling of being outside. Raw materials, neutral tones and hues such as blue and green all create a calming atmosphere during the warmer months. By hanging any additional plants and decorations, you can style an area without taking up precious entertaining space. There’s no telling what the weather will do in summer, so ensure you have some form of shade for those scorching days. If you don’t have a shade structure, umbrellas are an easy way to provide an escape from the sun. Hanging parasols are ideal for small spaces as the stand is positioned to the side, which leaves more space for guests to enjoy the shade. In summer, it’s not uncommon for daytime events to carry on well into the evening. To ensure your party doesn’t have to end when the sun goes down, consider whether your space has enough lighting. Festoon lights are a great way to not only provide extra light, but also add to the ambience of the setting. When you are relaxing around a table, there’s nothing worse than having to continually pull your chair in for people to pass behind you. To ensure guests can push their chairs back from the table and relax after a meal, allow enough space for people to walk around your furnishings. This may mean clearing away things such as pot plants that could create congestion. When it comes to providing seating, you don’t always need larger chairs. Consider small stools, folding chairs or even large floor cushions and rugs for people to relax on. The benefit of using small and lightweight seats is that they are easy for guests to move around as they mingle and start talking to new people. Cups are one of the biggest sources of clutter at an outdoor event, as people often forget which cup or glass was theirs and then grab a new one. Rather than running around picking up forgotten glasses that are taking up table space, create a system for guests to remember which cup is theirs. There are a few ways to do this: ask guests to write their name on disposable cups, lay out glasses of different shapes, colours and sizes, or provide charms for wine glasses. One easy way to save space outside is by providing a place for guests to leave their belongings indoors. Clear away a space in your home where your guests can leave handbags, umbrellas, containers and any other belongings they have brought with them. This saves guests from leaving their things on chairs and under tables outside. Get more space-saving ideas in our free ebook Small Spaces, Big Ideas.